Global Choices offers a tax refund service for anyone who has worked in the UK and paid taxes. A tax refund is the repayment of tax that you have overpaid during the financial tax year. Anyone who has worked in England for the past 6 years can apply for a tax refund. Global Choices specialises in PAYE tax back and guarantees you fast and efficient service. Your refund will take 90-120 days and Global Choices will charge only an 8% commission from the refundable amount or minimum charge – GBP 30. Global Choices ensure that you can claim the maximum amount of your refund. Download and fill in an Application Pack, (2 mb) apply by post or visit us and let us get you maximum for a tax claim. Do not miss this opportunity – claim your tax rebate today! Please note: If you have lost P45 or P60, Global Choices in collaboration with HM Revenue & Customs and your employer will help you to find out the missing forms or substitutes. 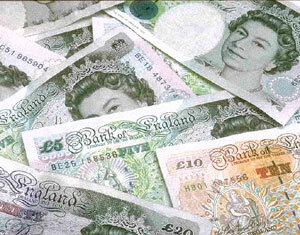 An additional payment of £40 is charged for obtaining missing documents. However, the tax repayment period might take longer, depending on circumstances. Global Choices is ready to pay your refund directly to you in whatever bank you choose. Please do not hesitate to contact us to obtain more information about Tax Refund Service in the UK.